This innovative project was awarded a grant by Time to Change, England's mental health anti-stigma programme, and aimed to tackle mental health stigma and discrimination in East Durham. 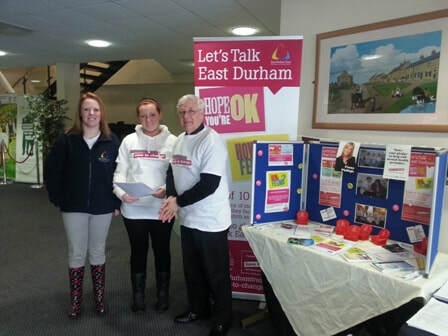 Let's Talk East Durham Co-ordinator, Julie Devon, along with trained project volunteers took the 'Let's Talk sofa' to the hearts of communities within East Durham, engaging individuals in conversations about mental health. 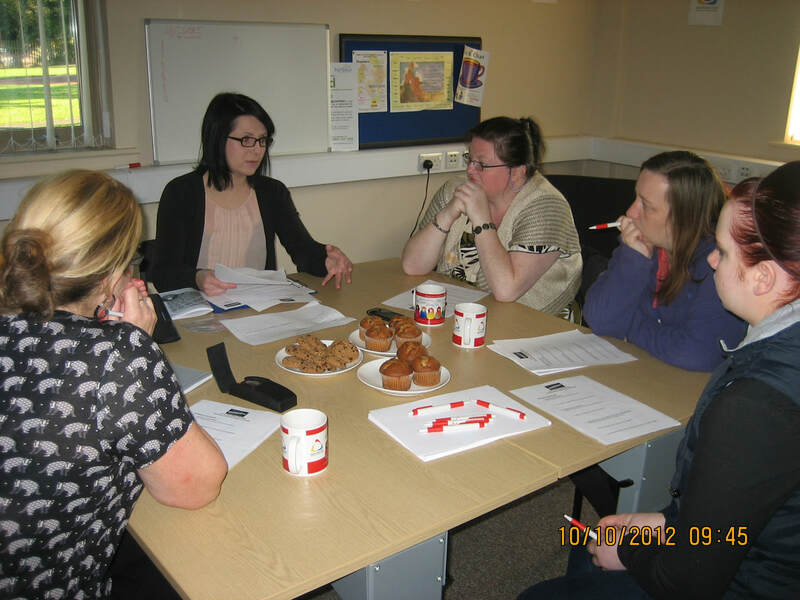 The project was led by people with lived experience of mental health problems. 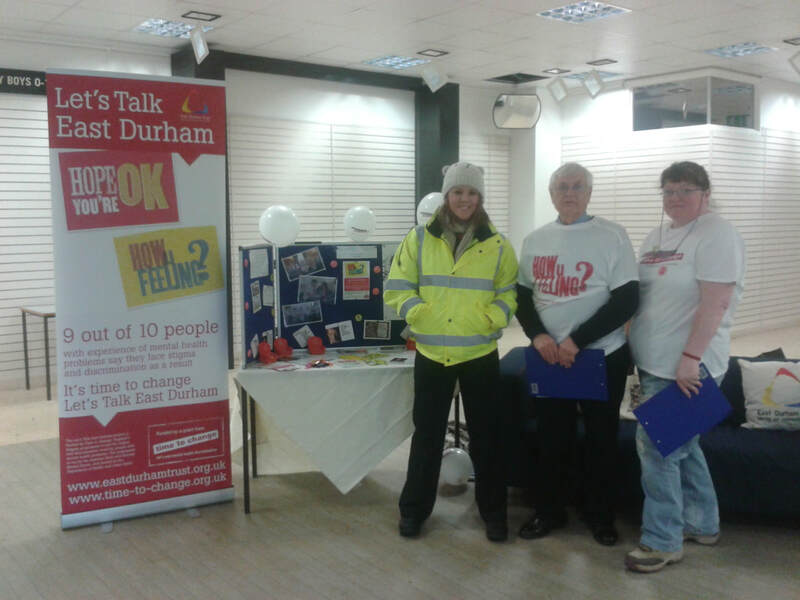 We recruited 6 Champions and 30 volunteers, who were all very enthusiastic and committed – making the Let's Talk events come to life with an approachable manner and showing empathy to the project and members of the public seeking support. The aim was to bring people who don't have mental health problems into social contact with those who do. Evidence suggests that this kind of contact is one of the most effective ways of breaking down stigma and discrimination. 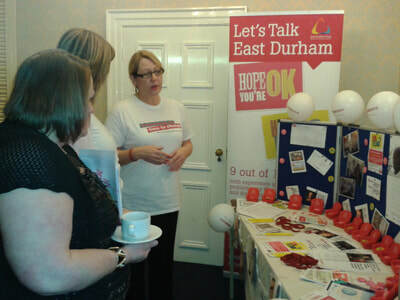 As well as taking part in the conversation and pledging support to the campaign, those who come along to event took part in the myths and facts quiz and even get a lot of goodies, including a replica mini Let's Talk East Durham sofa to take home! Time to Change is run by the charities Mind and Rethink Mental Illness and funded by the Department of Health and Comic Relief. 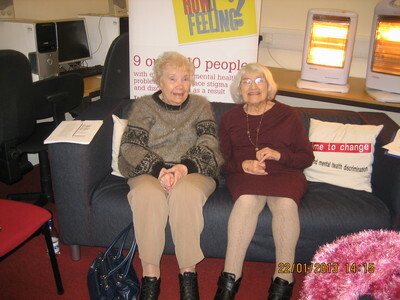 The programme distributed grants to local community-led projects as part of its drive to improve public attitudes and behaviour in relation to mental health.